Cat videos are all the rage on social media. How can they not be? With their personality and jumping ability, they were made for hilarity. We've taken a clowder of cats and paired them with amusing and sweet content to make the purrfect gift for any occasion. Catness by Ellie Claire was published by Ellie Claire in August 2016 and is our 39268th best seller. 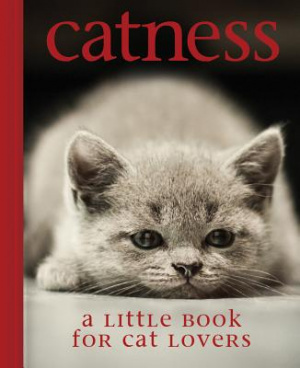 The ISBN for Catness is 9781633261204. Be the first to review Catness! Got a question? No problem! Just click here to ask us about Catness.